One-component, cosmetic R3 repair and surface leveling mortar. Rapid setting cement prepared. To block water leaks in concrete cracks or fissures on other base-cement surfaces. 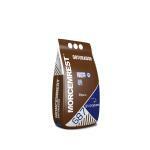 R3 mono-component medium resistant repair mortar. 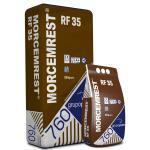 High resistance monocomponent R4 repair mortar for large thicknesses. High-strength mortar with self-leveling controlled expansion and no retraction.Medium and thick layers. Morcem Elastic PM AQUA is a one-component elastic liquid membrane, 100% water-based polyurethane (free from acrylic resins and other additives). Morcem Elastic PM AQUA forms a seamless, hydrophobic membrane, with no possibility of leaking. 100% waterproof. 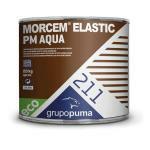 Morcem Elastic PM AQUA is based on the innovative technology that permits long-chain polyurethane macromolecules to be incorporated into an aqueous medium, forming stable dispersion. 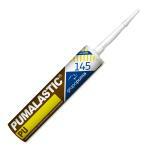 This technology has high level properties in the base product solvent, which are environmentally friendly. By being water-based, it has a low VOC content. 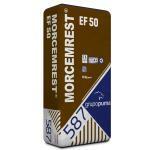 Corrosion protection for steel reinforcements from the Morcemrest restoration system, in compliance with EN 1504-7. 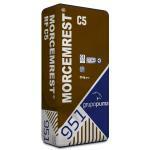 This product can be combined with other repair mortars from the Morcemrest range. Cementitious anti-corrosion mono-component primer, modified with polymers for protecting reinforcement. When mixed with water a grout is obtained which is applied to the previously cleaned steel. Due to its high pH level Implarest C creates a passivation layer on the surface of the reinforcement, halting the corrosion process. 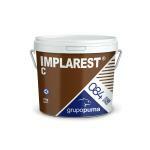 Implarest C is a corrosion protector classified in compliance with EN 1504-7. 2-component fast curing vinylester injection resin. 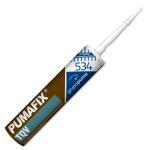 One-component polyurethane-based filler for sealing or bonding.